The AAUW Taunton Area Branch is offering a $500 Mary Anderson Memorial Scholarship for college students. Applicants must be graduates of a high school in Southeastern Massachusetts who will be entering the junior or senior year of college in the fall of 2017 with a minimum cumulative GPA of 3.0, and a commitment to improving the lives of women and girls. For an application, download at http://aauw-ma.aauw.net/branches/Taunton/, or contact Louise Freeman, freemanlou@aol.com. The deadline to apply is March 31, 2017. AAUW (The American Association of University Women) is the nation’s leading voice promoting equity and education for women and girls. Since our founding in 1881, AAUW members have examined and taken positions on the fundamental issues of the day – educational, social, economic, and political. Essential Oils 101 workshop given by doTERRA Wellness Advocate Chris Ventura on Tuesday, March 7th @ 6:30 pm. More people are using essential oils today. 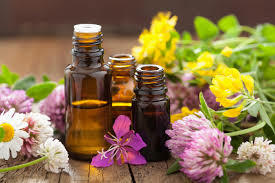 Essential oils are used for everything from pampering yourself to cleaning and helping with various ailments. An essential oil is a fragrant liquid extracted from leaves, twigs, berries, bark, wood, root, flowers, citrus peels, or other plant matter. Join Chris Ventura, doTERRA Wellness Advocate to learn the basics of Essential Oils. You will get to experience the oils with hands on activities and you will get to bring home an item as well. The Peace Committee of First Parish Universalist Unitarian Church of Bridgewater is pleased to present a concert by two of America’s top solo guitarist Peter Janson and Aaron Larget-Caplan. A World of Guitar: Virtuoso Guitar Music from Six Continents features music for solo guitar, and duets, that display the rich variety of human culture as expressed in guitar music. The songs will include styles from americana to celtic, to classical and flamenco, and to world-jazz- fusion. 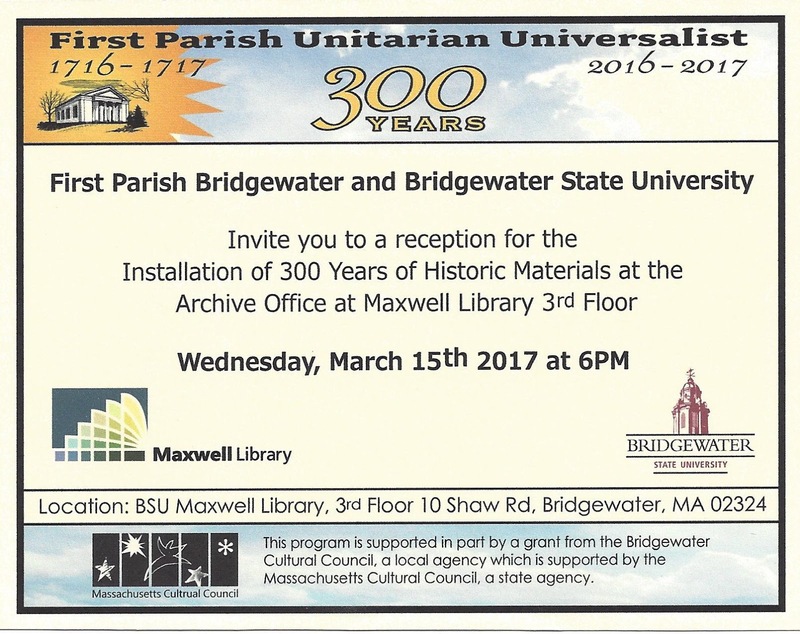 The program, which is in conjunction with the 300th anniversary of First Parish, will be held on Sunday, March 5 at 3:00 pm in the church sanctuary at 50 School St. Bridgewater, MA. Admission is $15 for adults, $10 for seniors and children. Child care will be provided for very young children. There will be an intermission with free refreshments and an opportunity to buy CD’s. Please visit the Facebook event page here for more details. Presented by Historian and Professor Gary Hylander on February 28th at 6:30 pm. Join us as we discuss EXECUTIVE ORDER 9066. In the aftermath of the Japanese attack on Pearl Harbor, President Roosevelt issued Executive Order 9066. The Order designated the Pacific West Coast as a war zone and resulted in the forced relocation of thousands of Japanese-Americans away from the coastline into detention centers for the duration of the war. 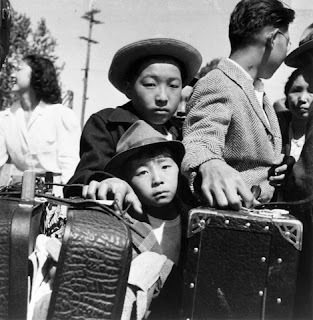 Over 100,000 native-born Japanese-American citizens (NISEI) and foreign-born Japanese nationals (ISSEI) were forced to leave their homes, sell their businesses and surrender their personal possessions. Despite Roosevelt’s fears, not a single Japanese-American was found guilty of wartime sabotage or espionage. The lecture begins at 6:30 p.m. at the Bridgewater Public Library and is free and open tot he public. 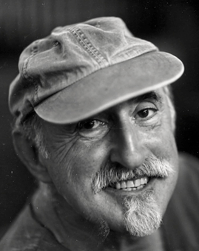 On Monday, February 27 at 2:00 Jack Trompetter will be at BSU to speak about the Holocaust. Mr. Trompetter is a survivor who seeks to educate people of all ages about the Holocaust and to challenge us to think about the lessons to be learned from this horrific event. Mr. Trompetter is presenting as part of SCWK/CRJU349: Perspectives on the Holocaust. The talk will be held in Moakley 100 and last approximately 75 minutes. Classes are welcome as are members of the community. 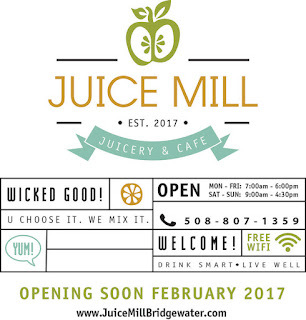 Juice Mill Grand Opening on Friday, February 24th! Downtown Bridgewater is gearing up to welcome its newest local business to the area and local residents will have a great, healthy place to visit for all natural juices and other items! 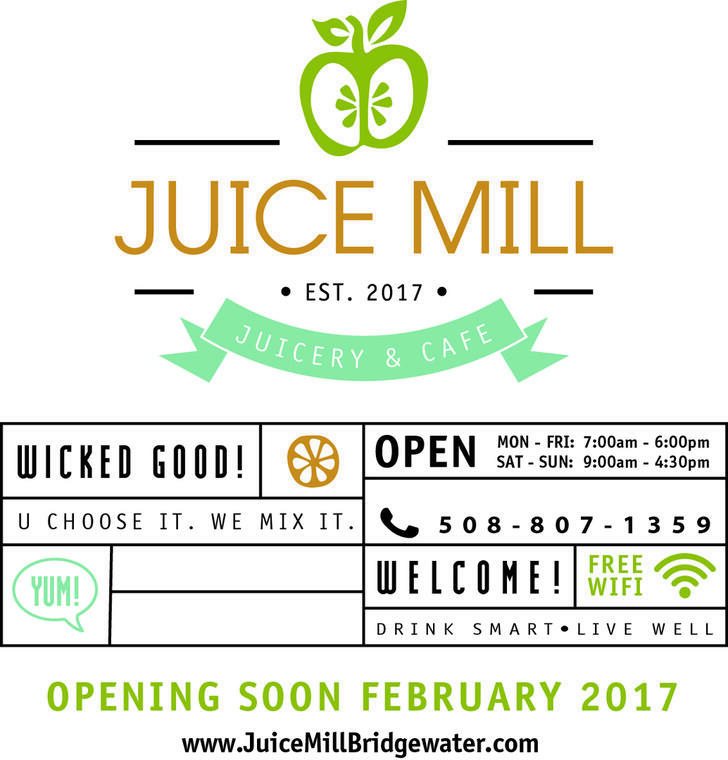 Juice Mill will be opening on Friday, February 24th! 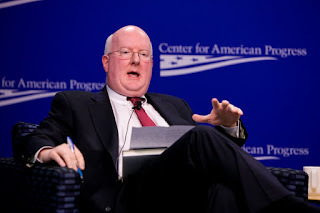 Shaun Casey, who served as the U.S. Special Representative for Religion and Global Affairs for several years, will be the keynote speaker at a daylong conference by the Global Religions & Civic Culture program at Bridgewater State University on Friday, Feb. 24. The former Obama administration official is on the faculty of Georgetown University. He has written on the ethics of war in Iraq as well as the role of religion in American presidential politics. His book, The Making of a Catholic President: Kennedy vs. Nixon 1960, was published in 2009. 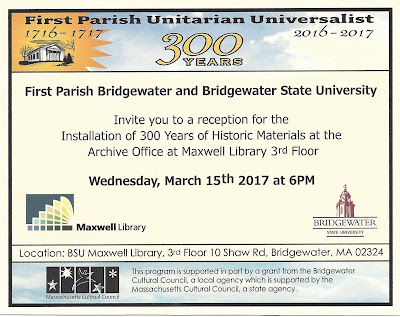 “The goal of the conference is to consider ways to optimize the resources of Bridgewater State University and communities in Southeastern Massachusetts to lead to a better understanding of the various religions and spiritual expressions that are represented in the region,” said Dr. Margaret Lowe, professor of history at BSU. 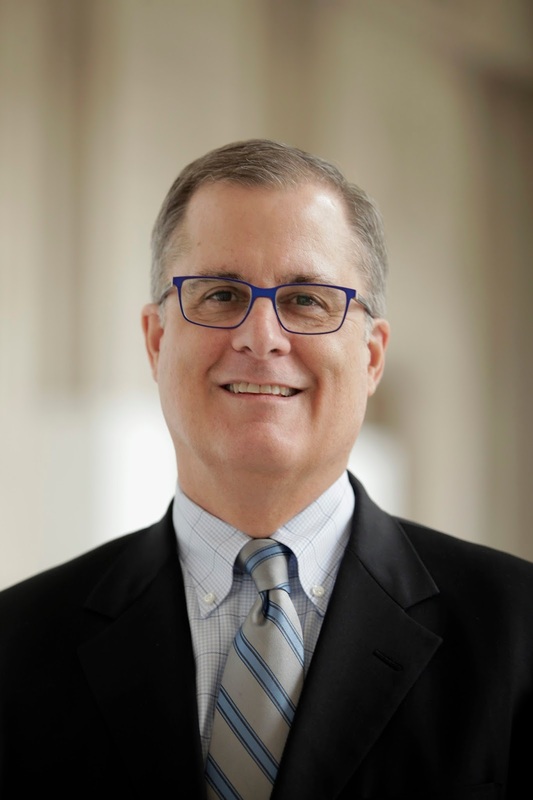 Professor Lowe is the coordinator of the Global Religions & Civic Culture initiative, which encompasses faculty for a number of disciplines across the university. It began in the fall of 2014 to establish an academic setting for the study of global religions and spiritual expression and to provide a setting and resource for the application of that understanding to everyday situations. During its first year, the initiative was focused on the academic study of religion, with special attention to fostering student success and addressing the broad aims of the university’s strategic plan. In its second year, the focus broadened to the understanding of global religions and spiritual expression in public life, especially at BSU and the wider community by exploring various partnerships. The program has held events featuring speakers on religious pluralism, including a keynote lecture by Dr. Diana Eck, a member of the faculty of divinity at Harvard University. The initiative has developed a new interdisciplinary minor for Bridgewater State University students in Global Religious & Civic Culture. Faculty from a variety of departments across the university’s schools have collaborated to provide course content for this program, which will start in the fall. This year’s conference, which starts at 8:45 a.m. with invited community members, regional higher education leaders and BSU stakeholders, includes a teach-in hour with invited classes, a lunch with invited diversity, pluralism and interfaith leaders, a faculty seminar for invited BSU and regional higher education faculty, and Casey’s keynote address and reception. Naomi Arenberg, a 26-year veteran of public radio at both WGBH and WCAI, will interview Casey during the interactive keynote, which will be held from 12 to 2 p.m. in Maxwell Library’s Heritage Room. The keynote is open to the public and the campus community. Casey is a graduate of Harvard Divinity School with a Master of Divinity and a Doctor of Theology in Religion and Society. He also earned a Master of Public Administration from the Kennedy School of Government at Harvard with a concentration in International Security. He earned a Bachelor of Arts degree from Abilene Christian University and is a member of the American Academy of Religion. He is working on two projects – co-editing the Oxford Handbook of Political Theology with Michael Kessler of Georgetown, and he is writing a book on ethics and international politics, which is tentatively titledNiebuhr’s Children. While serving in the Office of Religion and Global Affairs, Casey worked to implement the National Strategy on Religious Leader and Faith Community Engagement. The office advises the secretary on policy matters as they relate to religion, supports U.S. posts and bureaus in the efforts to assess religious dynamics and engage religious actors; and serves as a first point entry for individuals, both religious and secular, who would like to engage the State Department on matters of religion and global affairs. For more information about the event, contact Professor Lowe at mlowe@bridgew.edu or call 508.531.2406. The Bridgewater Garden's Club Day meeting will be held on Wednesday, February 22nd at 1 p.m. Michael Tallbott will discuss the effects of non-invasive and invasive plants on our environment. The Evening meeting will be held on Monday, February 27th at 6:45 p.m. Yvette Vivard, of Charlotte Designs, will share her knowledge from the finest schools in France and her event business. She will show simple, but elegant design techniques to brighten your home. Meetings will be held at the Senior Center, Wally Krueger Way, where refreshments will be served. Members and guests are welcome at both meetings. Calling all players ages 4-8! 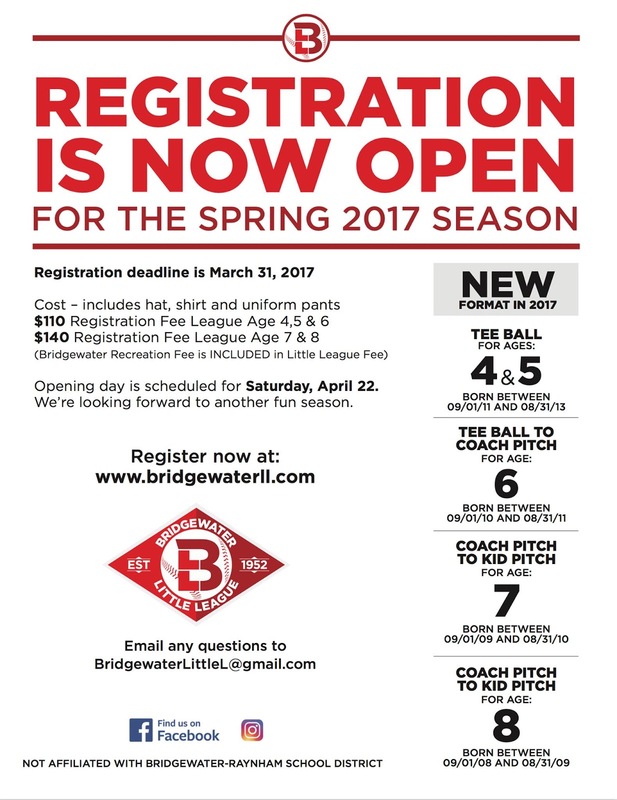 Registration is open for Bridgewater Little League! 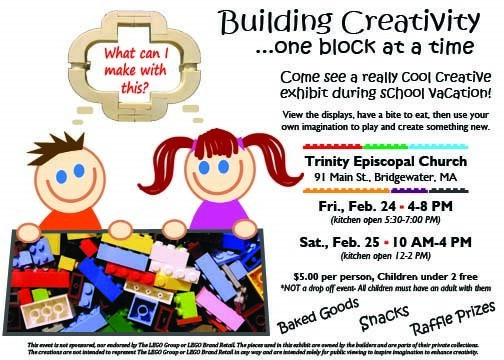 Come see a really cool creative building block exhibit during school vacation! View the amazing building block creations, have a bite to eat, then use your own imagination to play and create something new. Baked goods, snacks, prepared foods, and raffle tickets will also be available. The Bridgewater-Raynham Special Education Parents Advisory Council (BR-SEPAC) will be holding a presentation for the 2016-2017 school year on Monday, February 27th at 6:00 pm titled, Collaborative Problem Solving. The Collaborative Problem Solving model sets forth two major tenets: first, that social, emotional, and behavioral challenges are best understood as the byproduct of lagging thinking skills and second, that these challenges are best addressed by teaching children the skills they lack. 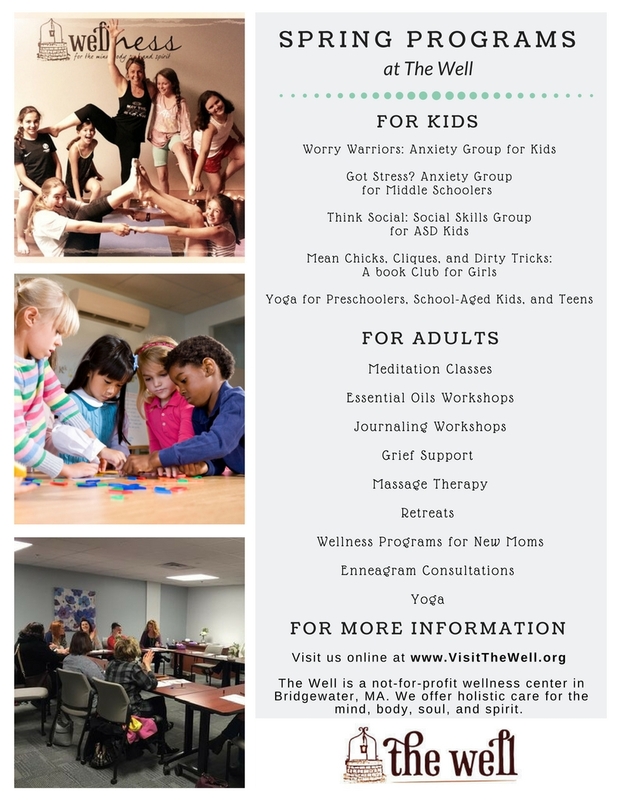 The teaching of these skills may be accomplished in a variety of ways, but primarily through helping challenging children and their adult caretakers learn to resolve problems in a collaborative, mutually satisfactory manner. Come learn more about this model! The Munchkin Soccer Clinic utilizes a curriculum which is designed with an understanding of appropriate child development. The program is designed to bring children through various stages of development and make sure they both grow their athletic skills and at the same time create an interest and love for the game of soccer! This fun, game-based curriculum has been designed to develop gross motor skills, promote physical fitness and create confidence and positive self-esteem in younger children. Each class is 45 minutes long. 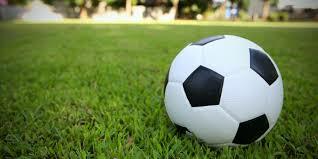 Players need to bring a size 3 soccer ball and water and children must wear sneakers or soccer shoes. The annual Scout Sunday Mass will take place at Saint Basil’s Chapel, 122 Park Ave. (on the BSU campus) during the 10 a.m. Mass on Sunday February 12th. All present and past Scouts are invited to attend, present Scouts should be in uniform. Scouts will meet at 9:30 a.m. in the lower level of the chapel. We encourage Girl Scouts (Daisies through Ambassadors) to participate as well. If you are a Girl Scout/Brownie/Daisy parent/leader please contact Kate Anderson at cnjanderson@comcast.net or at (508-353-9780). Please park behind the Kelly Gymnasium in the BSU parking lot. The Religious Emblems program is sponsored by the Knights of Columbus, Council #488. 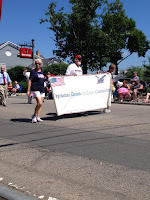 Units are encouraged to bring their Pack/Troop/Unit/Crew flag & stand. Please stay for donuts/coffee/ juice and conversation after Mass. The Bridgewater Democratic Caucus will take place at the Bridgewater Academy Building on Saturday, February 11th at 9 a.m. The caucus will take place in the Town Council Chambers, Room 203. The caucus is open to all registered Democrats residing in Bridgewater. The caucus attendees can run for an will vote for candidates who will attend the Massachusetts Democratic Convention to be held in Lowell in June. The English Department at Bridgewater State University is pleased announce a reading by Dr. David Oprava of Cardiff Metropolitan University, Wales, on Tuesday, Feb. 7, at 3:15 in the Heritage Room in the Maxwell Library. All are welcome to attend. Dr. Oprava is an award winning writer of experimental prose and poetry. He has published six collections of poems and most recently, an illustrated novel that crosses the boundaries of prose, poetry, art, and philosophy. He holds a PhD from Swansea University and although American by birth, has been living and working in the UK for the past twenty years, the last seven of which he has been at Cardiff Metropolitan University in Wales where he is the Subject Leader for Creative Writing. His interests include transgressive literature and experimentation, with a keen eye to pushing the boundaries of what writing can do with shape, form, and meaning. This coffeehouse features a mix of Americana and Folk music right in the downtown area of Bridgewater MA at the U. U. Church at 50 School St. The doors open at 7:00pm with Quentin Callewaert kicking off the evening of music at 7:30pm. There is no one-word description for what Don White does. He has survived and thrived for twenty-five years, bringing his audiences to laughter and tears in his live performances, studio recordings, and on the printed page. 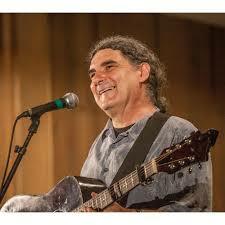 He is a storyteller-comedian-author-troubadour-folk singer-songwriter. Don’s approach to music is a weird, unique blend. It has brought him onto the stage with greats like Christine Lavin, Arlo Guthrie, Taj Mahal, Ritchie Havens, Patty Larkin, Bill Morrissey, Tom Rush, and Louden Wainright III. At every point, Don has been the ultimate observer, infusing his work with his experiences as a husband, a father, a seeker, and a joker. I was born with the disease.” As a teenager, he would skip school to write. He took journalism courses. Things started to click when his parents bought him his first guitar at age 15, when White was absorbing music from John Prine, Arlo Guthrie, the Grateful Dead, Frank Zappa, and Bob Dylan. He became a student of music. It was the Grateful Dead that inspired Don White to leave his working class hometown after high school graduation in search of the strange, cool people with long hair he met at local shows. He spent three years hitchhiking across the country, building a foundation for his personality and writing. Don White’s career took a whole new direction when he started hosting a music open mic at one of the country’s hottest comedy clubs, Catch A Rising Star in Harvard Square. After impressing Catch’s booker with his wit and storytelling abilities, White began to emcee comedy shows. Just as he had studied music as a teenager, Don White began to study comedy. Many songwriters use their real lives for inspiration, but few do it like Don White. He often draws inspiration from his family, whether it’s a touching song about the circle of life or an uproarious story about dealing with his daughter. Bridgewater State University and its Canadian Studies Program will host a daylong Canada-Massachusetts Business Symposium on Wednesday, Feb. 15. Entitled “In Business with Canada,” the event will run from 8 a.m. to 2 p.m.
Keynote addresses will be given by David Alward, Consul General of Canada, during the morning session with David Biette, senior advisor of the Canada Institute at the Woodrow Wilson International Center for Scholars in Washington, providing the closing keynote. All events will be held in the Rondileau Campus Center starting at 8 a.m. with registration and a light breakfast. The day will feature panels discussing views from business schools in the Northeast, local business perspectives, accessing the Canadian market and potentially renegotiating NAFTA. Admission to the event is free. Those planning to attend should RSVP to Dr. Andrew C. Holman, director of the Canadian Studies Program, at a2holman@bridgew.edu.